David spends the majority of his practice representing franchisors, but the range of services to those clients is expansive and encompasses a broad range of business activities, transactions, and relationships. Regularly assists franchisors in preparing franchise disclosure documents and counseling on information that is necessary to be disclosed, particularly with respect to unusual facts, circumstances, and transactions. Resolved numerous state compliance investigations alleging regulatory violations by franchisors for the alleged unregistered sale of franchises. Assisted companies in converting license, distributorship, and dealership programs into franchises, and assisted in resolving regulatory compliance disputes in connection with same. Regularly advises clients on structuring transactions to take advantage of regulatory exemptions. Represented numerous franchisors in connection with negotiation of complex multi-jurisdictional and multiple-unit franchise transactions. Represented numerous franchisors in numerous industries in structuring and negotiating multi-tier and sophisticated franchise structures, including master franchises, subfranchising, area representative programs, area development programs, and franchise brokerage relationships. Represented multiple-unit subfranchisors, area representatives, and area developers in negotiating complex franchise transactions with their franchisors. Represented franchisors in connection with franchise, license, and similar commercial relationships with large institutional operators for large and special-format venues and sites. Represented multiple franchisors in connection with negotiations on franchise agreement terms, franchise policies, and other aspects of the franchise relationship with franchisee associations and advisory groups involving matters of territorial and channel conflict, including relating to e-commerce. Advised and assisted in structuring franchise e-commerce. Assisted multiple franchisors in drafting and negotiating supply and distribution agreements. Regularly assists companies in expanding their business through alternatives to franchising, including dealerships, distributorships, sales representatives, joint ventures, licenses, and direct sales (including multi-level marketing). Regularly assists growing companies in structuring their relationships to avoid federal and state franchise and business opportunity laws. Restructured programs to fit exclusions and exemptions in numerous industries, including food service, education and vocational training, lodging, and hospitality. Assisted growing companies with structuring joint venture transactions to avoid franchise laws or meet exemptions from them. Represented a franchisor selling substantially all of the company-owned and franchised assets of a car rental chain to a larger competitor, on all aspects of the acquisition transaction. Represented a franchisor in the sale of majority control of stock of a food and beverage chain, on all aspects of the acquisition transaction. Represented the selling franchisor of a food and beverage chain in the sale of majority control to a private equity firm, as special counsel on franchise aspects of the transactions. Represented a fast-growing restaurant chain in the sale of control of its common stock from one private equity firm to another, as special counsel on franchise aspects of the transaction. Represented a franchising company and founder in the sale of all of the assets of a special event publication franchisor to a private equity firm. Represented a sign-making and graphic services franchisor in the acquisition of a smaller competitor. Represented a sign-making and graphic services franchisor on its acquisition by a larger franchisor in complementary industries, as special counsel on franchise and other related matters. Represented a direct mail advertising franchisor in the acquisition of a digital coupon advertising company. Represented a large travel agency franchisor in its acquisition and consolidation of large multistate regional subfranchisors, on all aspects of the acquisition transaction. Represented a multistate regional subfranchisor for a real estate brokerage chain in its sale to the franchisor in a consolidation transaction, on all aspects of the acquisition transaction. Represented a multi-unit franchisee in its acquisition of substantially all of the assets of the franchisor so that it became the owner of the franchise system afterward. 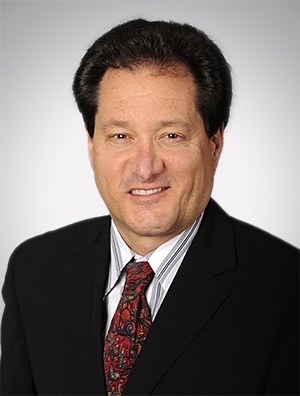 Represented franchisors in a variety of industries in numerous countries on international franchise transactions, including preparation and negotiation of international multi-unit and multi-jurisdictional franchise agreements, including master franchise and area development agreements, and working with international local counsel on franchise documentation and legal compliance. Represented franchisors and subfranchisors on both inbound (to U.S.) and outbound structures and transactions. Regularly counsels franchisors in strategies for successful termination of franchise agreements and relationships. Assisted franchisors in settling franchise litigation arbitrations through settlements and other strategies and negotiating terms of same. Regularly counsels franchisors on handling franchise transfer issues and resolving conflicts on same. Advised an association of area representatives for a large fast-casual restaurant chain on their rights and remedies in connection with their development agent agreements.